Extend you individual creativity by developing an awareness of coloured surfaces and textures in the structure of felt. 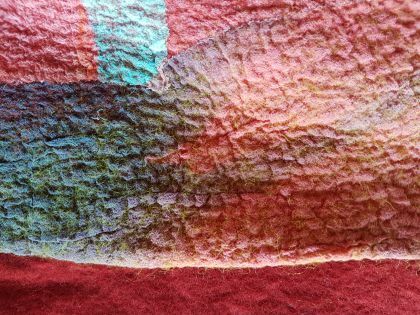 We will explore the layering of colour and mark making and more at each of stage of the felt making process to create your choice of either a three dimensional felt vessel or small bag. Combinations of the different fibres, threads and fabrics creates wonderful surprises in the transformation of materials. © Copyright 2019 NZ Textile Experiences. Built by NZ Textile Experiences. Powered by Airsquare.